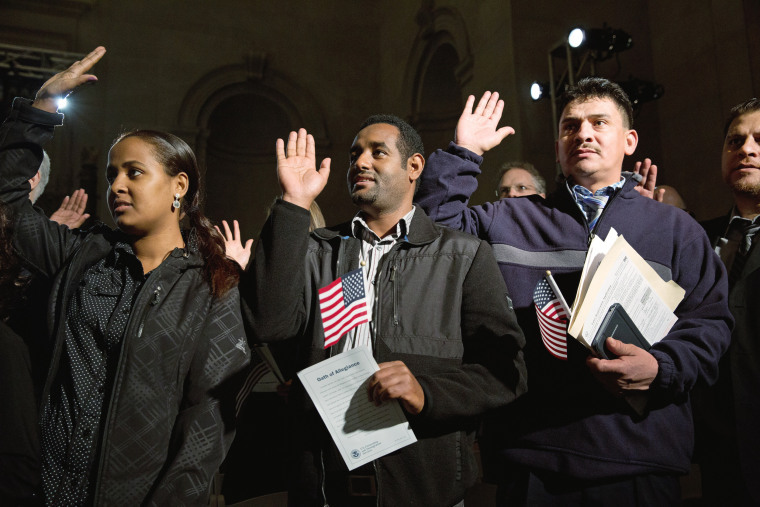 People take the oath and become naturalized U.S. citizens in Washington D.C. and Brooklyn on Dec. 15. 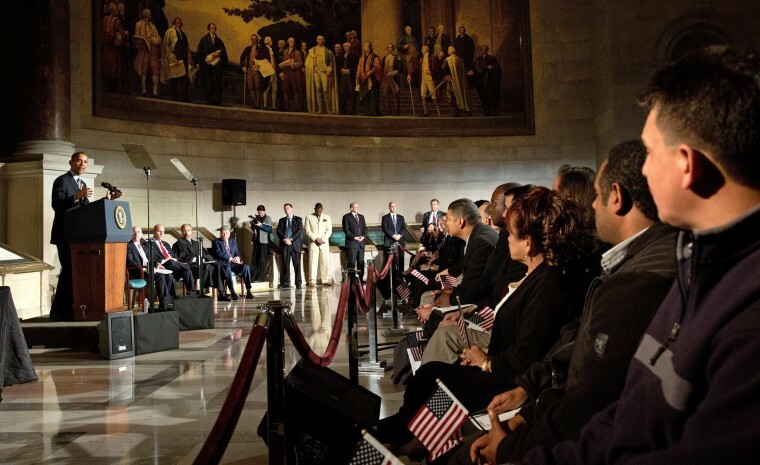 President Barack Obama speaks during a naturalization ceremony for new US citizens, at the National Archives Museum in Washington, D.C. on Dec. 15. 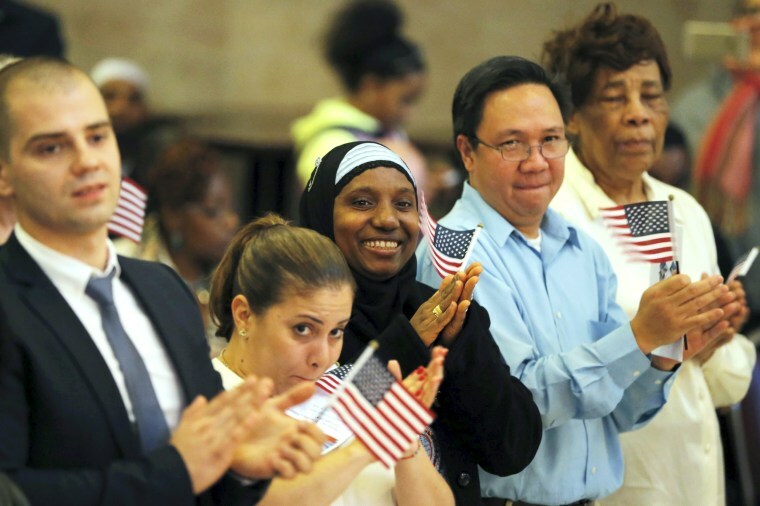 "Immigration is our origin story... It’s who we are. It’s part of what makes us exceptional," the president said. 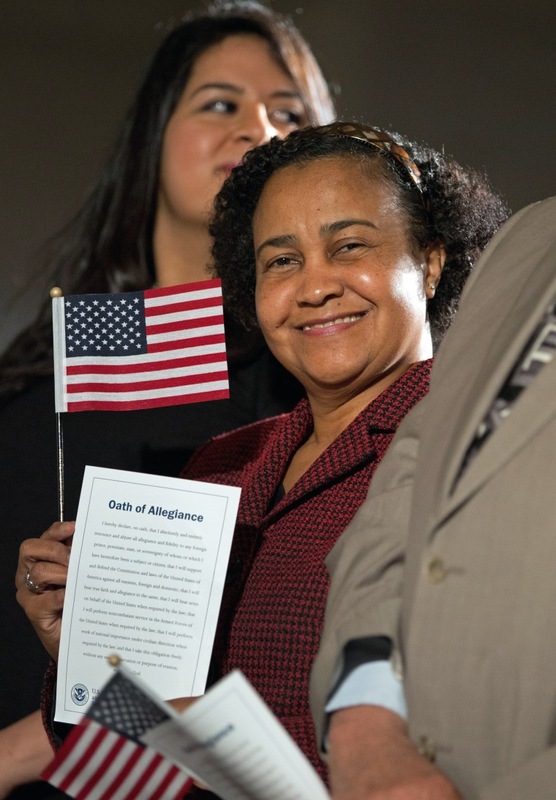 Naturalization candidates wave their American flags after taking the Oath of Allegiance during a ceremony for new U.S. citizens at the National Archives Museum in Washington, D.C.
A naturalized U.S. citizen waves a American flag and Oath of Allegiance during the ceremony. 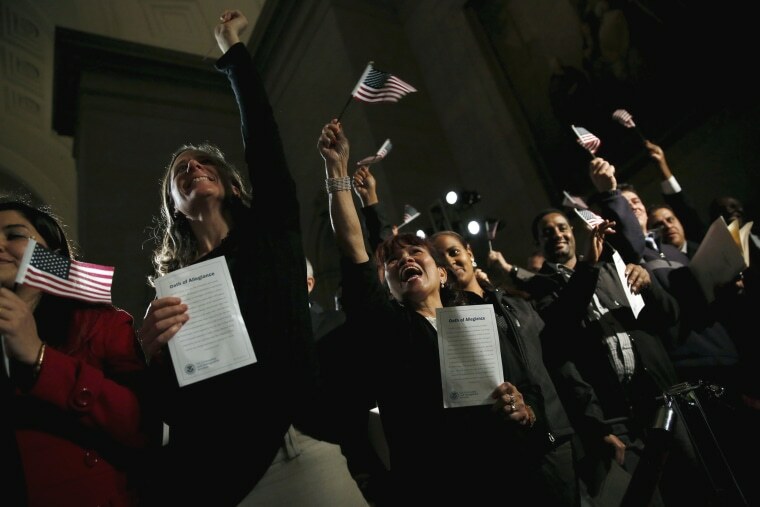 People celebrate as they become U.S. citizens at the National Archives Museum. 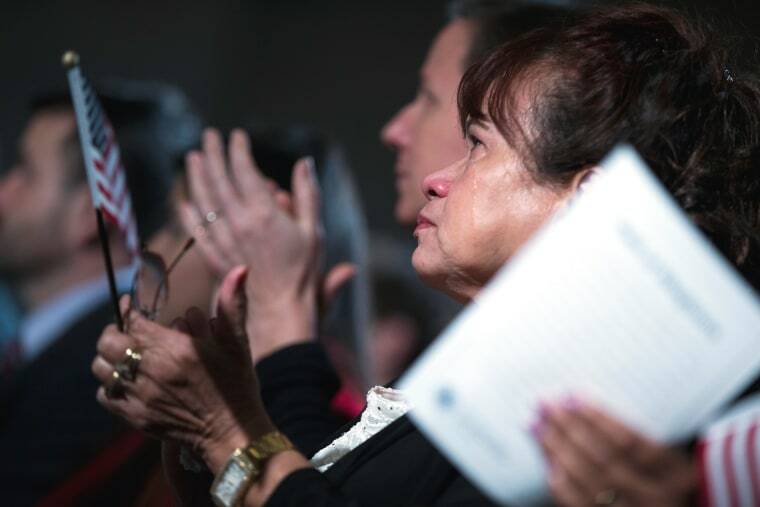 An emotional participant in a naturalization ceremony listens as President Barack Obama speaks at the National Archives Museum. 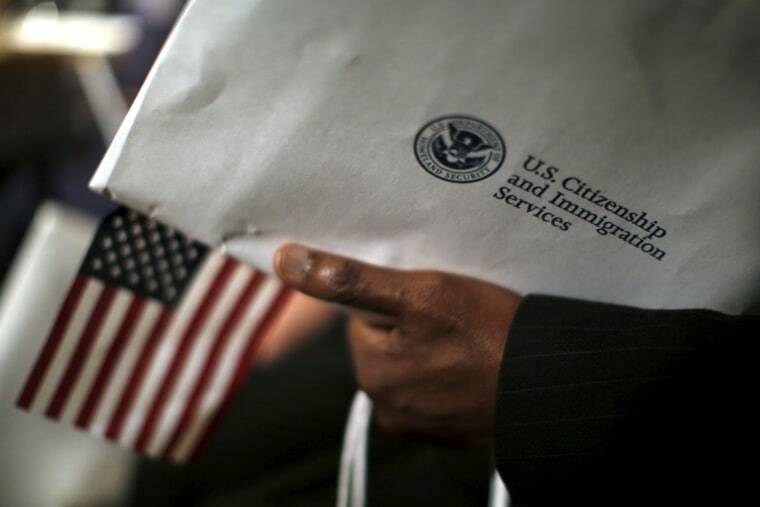 During the ceremony, 31 immigrants from Iraq, Ethiopia, Uganda and 23 other nations were being sworn in as U.S. citizens. A man holds an envelope from the U.S. Citizenship and Immigrations Service during the ceremony. 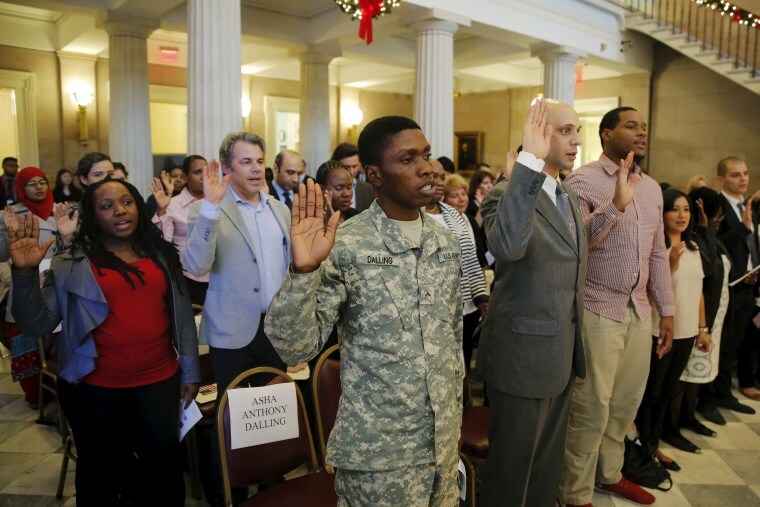 U.S. Army Private Asha Dalling, center, raises his hand as he takes the United States Oath of Citizenship during a naturalization ceremony in Brooklyn, New York on Dec. 15. 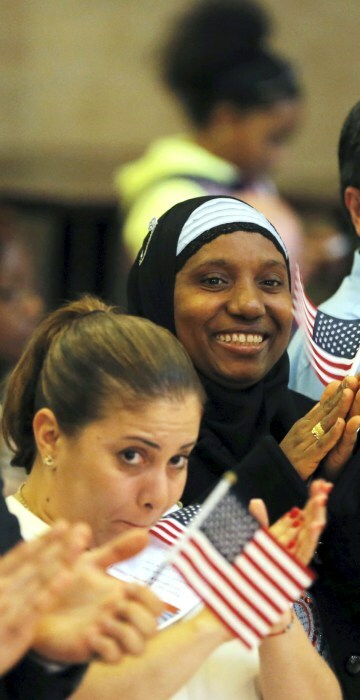 Isatu Barrie, center, smiles after taking part in the United States Oath of Citizenship during the ceremony in Brooklyn, New York. 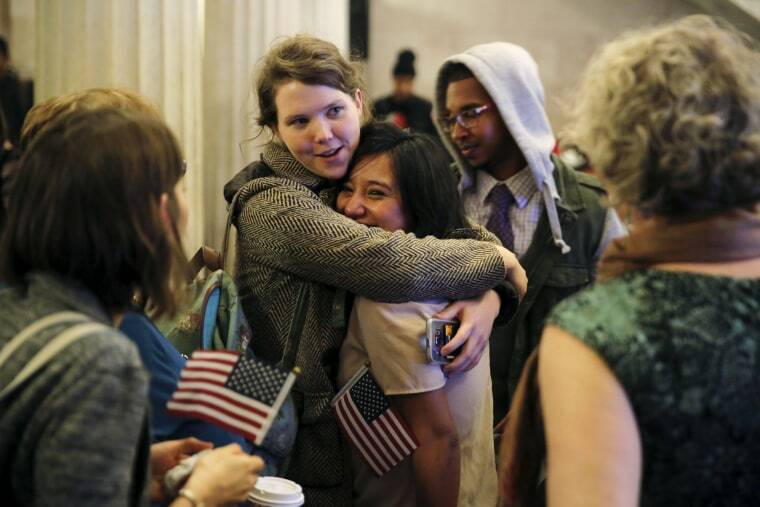 Friends and family surround a newly naturalized citizen after the naturalization ceremony in Brooklyn.